by Shannon Clark in Save Your Sanity | 2 comments | Contains affiliate links. One Friday afternoon a couple of weeks ago, I finally found it: My limit. It had been creeping up on me for days and weeks, and probably months and months, despite my trying to ignore it. I was at the end of myself, a place I’ve found myself all too often lately. In that moment I knew for certain, I could not go on without reaching total and complete burnout. I had to find some ways to manage stress! I’ve always been driven, but it’s only now that I’m an almost-full-time work-from-home-mom and a stay at home mom of two little ones that I’ve been forced to face my limits and to search for a greater sense of balance. It might seem that I’ve achieved the best of both worlds with a work-from-home situation, and in some ways I have. I get to be a stay at home mommy to my kids while still growing a business and pursuing my passions. I wouldn’t have it any other way, but oh boy, it can be a challenge some days! I know I’m not alone in this. 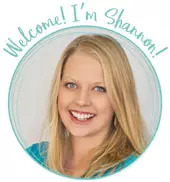 The real moms I have the privilege to connect with in the GrowingSlower community balance busy lives with children, running a home, working, running businesses, pursuing some big financial goals, and much more. So much falls onto the shoulders of moms, it’s easy to get overwhelmed. The real problem isn’t necessarily the experience of stress. In fact stress can actually be a good thing when it drives us to achieve more and push ourselves to great excellence in any area of our lives. When anxiety tries to overcome me, I often remind myself that this, like many other sensations is just a feeling. In the best moments I can experience that feeling, take a deep breath, and then move on with my day. The real problem comes when we repeatedly experience the onslaught of stresses both big and small, day after day without acknowledging them or managing them in a healthy way. That’s when the stress of motherhood can start to erode our health. Eventually, we’ll all find our limit when this is allowed to continue. Something tells me this is going to be a lifelong learning process. That’s ok. I’m learning to embrace these lessons as a chance to grow stronger in character and to learn techniques that I’ll be able to share with other moms who might be experiencing the same struggles. Here are a my top stress management tips for moms as I’m working to manage the stresses of balancing life as a work from home mom right now. We all only have so much capacity in our short term memories, and as a mom, I’m petty sure I have even less than I used to and twice as much to remember! That leaves an awful lot of chaos rattling around in my brain, and an awful lot with the potential to be forgotten. That in itself can be stressful, trying to mentally juggle all that needs to be done. It really helps me to simply get those little and big tasks down on paper and out of my head, so I can focus on the higher level tasks. Now that I find myself with the surreal privilege of managing a growing business along with my regular duties as a stay at home mom, I have actually started using a free app called Trello. It may be a little overkill, but if you love organization and checklists, you’ll love this. There are also a few other checklist apps out there. I’ve heard good things about Wunderlust. Now some people recommend the 2-minute rule to assess whether they can quickly do it without ever adding it to their checklist. However, I don’t want to be distracted when I’m working or with my kids. Staying focused on one thing at a time really helps me be more productive. Instead of stopping what I’m doing to do a small task I’ve just remembered, most of the time I quickly grab my phone and add it to my checklist. Then, when I’m able, I try to group tasks and get a bunch done at one time. Do I need to make several phone calls? Write a group of emails? Or do some online shopping? It’s much faster to batch these tasks and do several at once, and it is always such a relief to have them done. Sometimes the really important things get pushed out of the way in lieu of other less important things because they’re just so big that it sometimes seems easier to just ignore them. Know what I mean? For instance, we can get so wrapped up in caring for our children’s health that our own health often gets pushed by the wayside. Another huge one that you won’t be surprised to hear me mention is finances. I was so surprised by the sense of relief I felt as soon as we made our plan to get out of debt. I couldn’t believe all the underlying financial stress that I’d been carrying around until that moment! Unfortunately, ignoring these issues doesn’t make them go away and it certainly does not improve the situation. We know all along that these are major important issues.Every minute we ignore them adds another ounce, or maybe a pound, of stress that we might not even recognize, but is still affecting our health and our ability to live a vibrant healthy creative energized life. 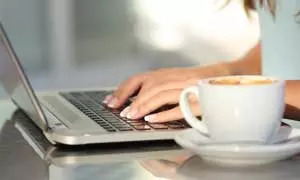 Carving out an hour or two to create a healthy meal plan, make a budget, or start a morning routine might seem tough in the day to day business of motherhood, but the sense of relief you find afterwards will be well worth it! I’ve spent large swaths of time in my three years as a mom feeling pretty overwhelmed by many things that I can’t change. As much as I’d like to, and believe me I’ve tried, I can’t always control whether or not my children wake me up in the middle of the night, whether they puke blueberries all over the carpet, or my internet goes down right before a writing deadline. All I can do in these moments is hang on and try to stay positive (try being the key word) and look for the little things that I can control that will make a positive impact on our situation. My morning routine was borne out of a collection of those small changes that I felt would, honestly, improve the way I felt about myself as a homemaker, mom, and small business owner. My morning routine has completely transformed our days into something much more manageable, peaceful, and calm. If you haven’t given a morning routine a try yet, I highly recommend it for bringing peace and productivity into the chaos that motherhood can sometimes be. My first four tips have all centered around productivity, and if you’ve read the blog long, you know I love efficiency. 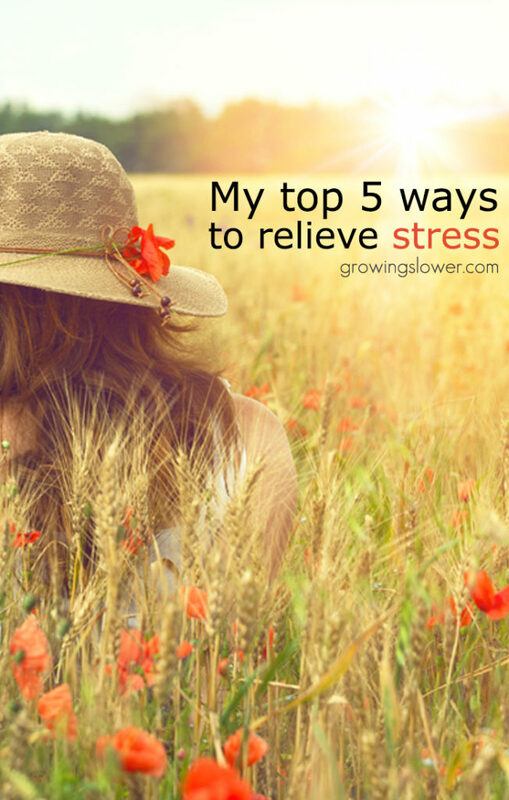 Much of my stress centers around all the things I need to do in my busy life as a mom. With all the different hats I wear, it’s no surprise that getting things checked off my list is the simplest way to feel less stress. However, there is, a limit, oh it’s so hard for me to admit, a limit to how much any one person can hope to get done, even super moms like you and me. The great thing is that we can actually be more productive when we allow ourselves some much needed rest. As I mentioned before, I can’t always control whether I’ll get to sleep through the night, but I can learn to make myself shut down the computer and go to bed early enough so that I can still cobble together 8 hours of sleep, even if my kids wake me up 2 or 3 times. For me, that seems to be about 9 pm right now. What is your best tip for helping managing stress? Share yours in the comments! My favorite ways to de-stress are to A)Do a few momentary breathing exercises, B) Take a 30 minute meditation period preferably in the bath if there’s time, C) Dance around the apartment, D) Make a check list, and E)Write in my journal. I find that at least one of these things will always rid me of whatever stressful feelings I am having. I also like to put my nose to a vial of lavender oil when nothing else seems to be doing the trick.